I awoke the morning of Keshia + Kelsey's wedding to misty mountains and a relentless rain that hung around all day. 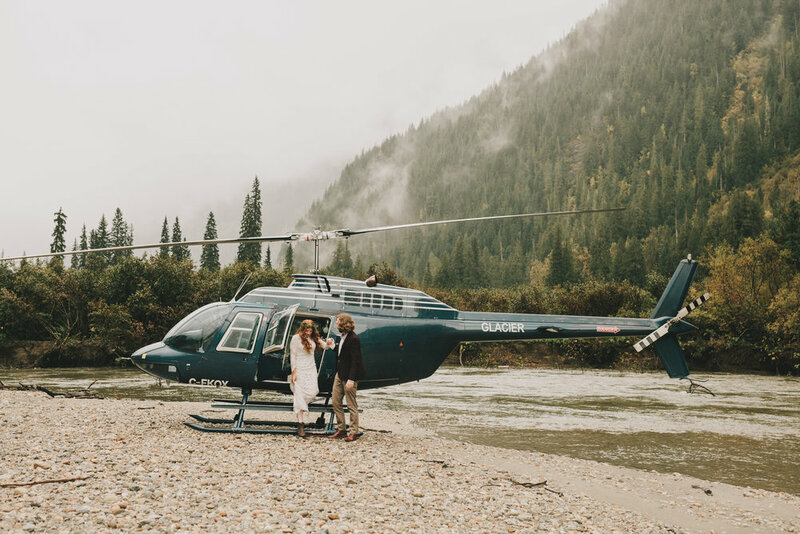 Most people are terrified of a rainy wedding day but Keshia told me the rainy days in Revelstoke are her favourite and she loved nothing more than seeing the mist on the mountains. This carefree and adventurous attitude made photographing this wedding so much fun. Any bride who forages her bouquet, still wants to get married outside when it's raining and wears Blundstones so she can climb waterfalls and take helicopter rides through the mountains is a dream bride to me. Congratulations Keshia and Kelsey, I can tell you two are going to have a beautiful and adventurous life!